I can’t believe I haven’t blogged about Vietnam Restaurant yet. This is probably my favorite restaurant in Philly–a great place for a quick bite or a long, martini-filled evening with family or friends. You may remember an early Row Home Eats post in which I documented a family dinner in honor of my brother’s impending move to Orlando. 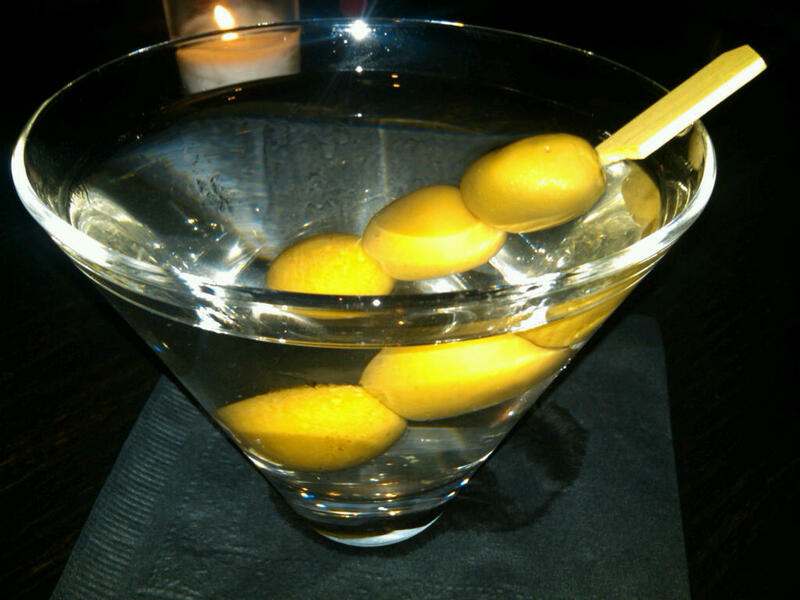 Although we did not dine at Vietnam, we began our evening there with a memorable cocktail. Some of my favorite Vietnam memories involve rowdy, laughter-filled meals with my dearest friends in my post-college days. Recently, my good friends, Minna and Ben, were in town and we decided to revisit the past and dine at Vietnam with another close friend, Ninh. Oh I forgot to mention that Vietnam is located quite conveniently on the route 23 bus line–as is our house. This is wonderful for so many reasons. Let me count the ways. #1 We have to walk under 1 block in total, door to door #2 No searching for parking and (drumroll please) #3 Safety first! No drinking and driving! The husband and I grabbed the 23 quickly and reached the restaurant with some time to burn. Our intention was to grab a drink at the bar/lounge on the top floor, but apparently it’s not open on weekdays. We decided to traipse a few doors down and wait for our friends at Yakitori Boy. Yakitori Boy is a relatively new bar and restaurant best known for its karaoke and “Japas.” We didn’t indulge in either of those, but sipped a tasty martini at the empty bar. Interesting martini glasses. After a brief wait, we met our friends back down the street at the restaurant. My husband and I don’t often stray from our typical orders at Vietnam. He tends to get the #37–House Special Vermicelli–which is a combo of spring rolls, meat balls, grilled chicken and pork over vermicelli. It’s actually no longer #37, but old habits…I always get vermicelli, but switch up the protein from chicken to beef to squid, if I’m feeling fishy. We’ll usually split an appetizer of vegetarian summer rolls or crispy shrimp. Things are different, however, when you’re out with a group. Our friends were hoping to order a number of dishes to share and for some reason I was feeling strangely proprietary over my food (this coming from a 29-year old who needs to sit at the same seat at my parents’ dining room table that I sat in growing up.) However, majority rules and I agreed to order with everyone. We started with a drink, of course. 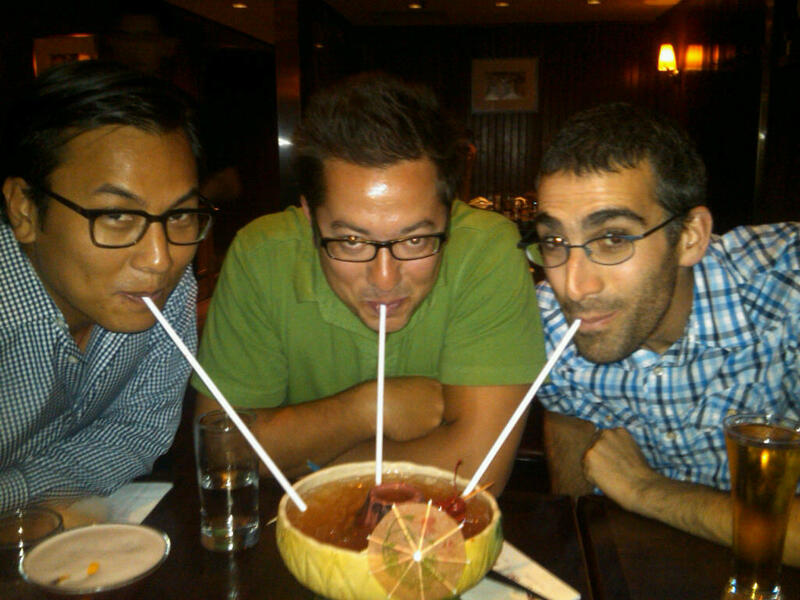 Three men in glasses just sharin’ a little drink. Let’s see how long this picture stays up before any one of the three depicted orders it to be banished from the interwebz. 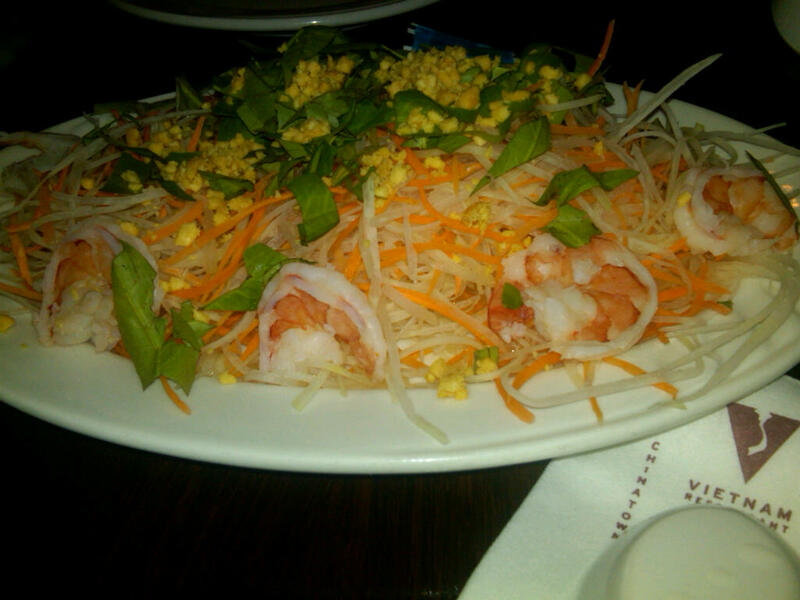 We decided to order an appetizer of green papya salad with shrimp. My friend, Minna, travelled through Asia in her early 20s and this is one of the dishes that she remembers fondly. This was Minna’s non-negotiable dish. Last time I was at Vietnam, we dined with my co-worker and her husband. My co-worker, Alexa, has two younger brothers who were adopted from Vietnam and has become familiar with the cuisine over the years. Her go-to dish is salt and pepper shrimp which I tried and loved! The name does not do that dish justice and I vowed to try it again. For this reason, I walked into Vietnam (the restaurant) with hopes of ordering salt and pepper squid. My friends weren’t initially feeling this request, but that became my non-negotiable and thus it was ordered. 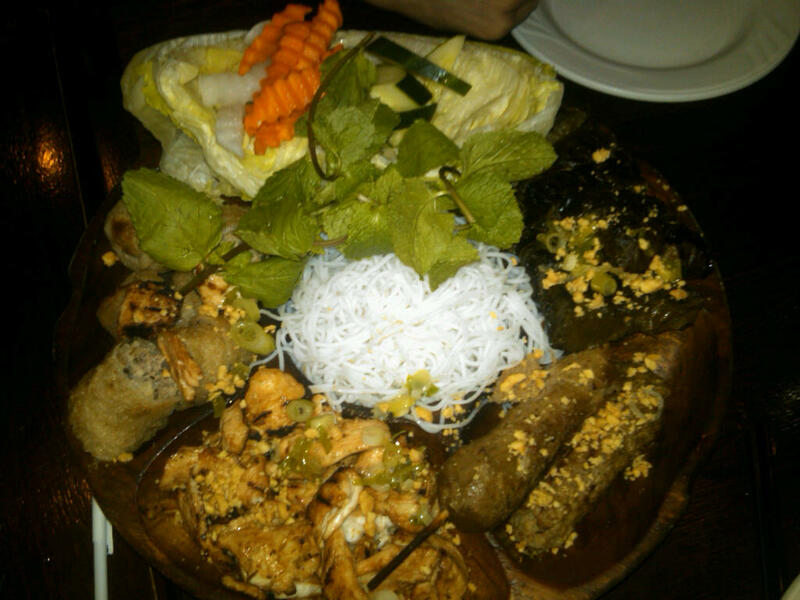 To round out the meal, we ordered the immense BBQ platter, chicken vermicelli and a seafood hot and sour soup. The BBQ platter is great for a group. It has meatballs, grilled chicken, grape leaves stuffed with beef, vegetable accoutrements and maybe some other things….I’ll have to look at the picture to job my memory. They include rice paper wrappers if you are so inclined to make your own little Asian burrito/summer roll/etc. This dish is awesome. Did I mention that? Our food came out in no particular order. Oh right, it has spring rolls too. Interestingly enough, my favorite part of the BBQ platter was probably the grilled chicken and the grape leaves. Grilled shrimp and papya salad. I don’t eat a ton of shrimp, but I grabbed a big spoonful of papaya salad and tossed it with the vinegary dressing and a splash of sriracha. That did just the trick! OK, now I’m confused. The soup was a contentious menu item for us. Minna doesn’t like spicy and Ninh wanted to order hot and sour. 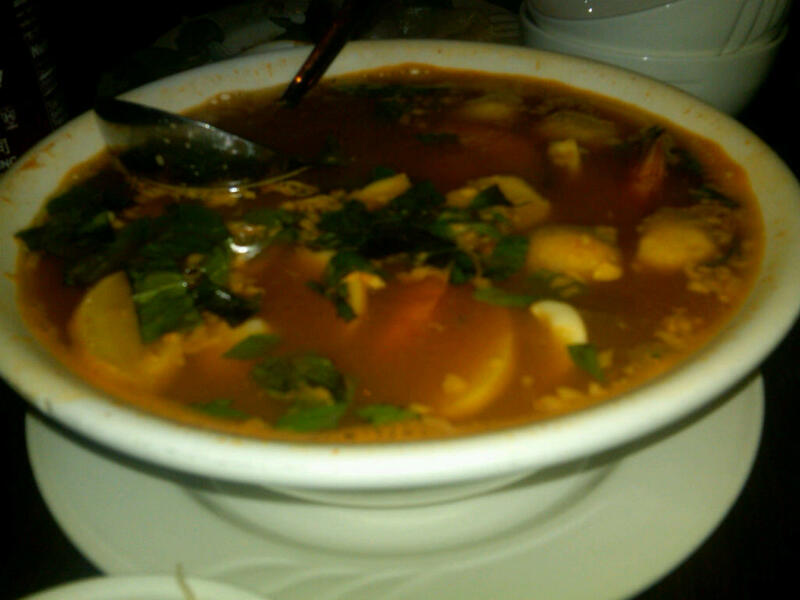 He promised it wouldn’t be too spicy, but now I’m looking back and think that we may have gone with the Canh Chua Thai (seafood lemongrass) soup. Who knows. My husband loved it but I thought it was just ok (and I only had the broth as scallops and I haven’t gotten along since 2004.) The broth was rich and tangy and we ended up polishing it off. So whatever it was, I guess it was good! Ahhh, the salt and pepper squid. This, my friends, was another contentious item, but I’m glad I put my foot down. What a hit! I texted Alexa during our meal and thanked her for inspiring my order! 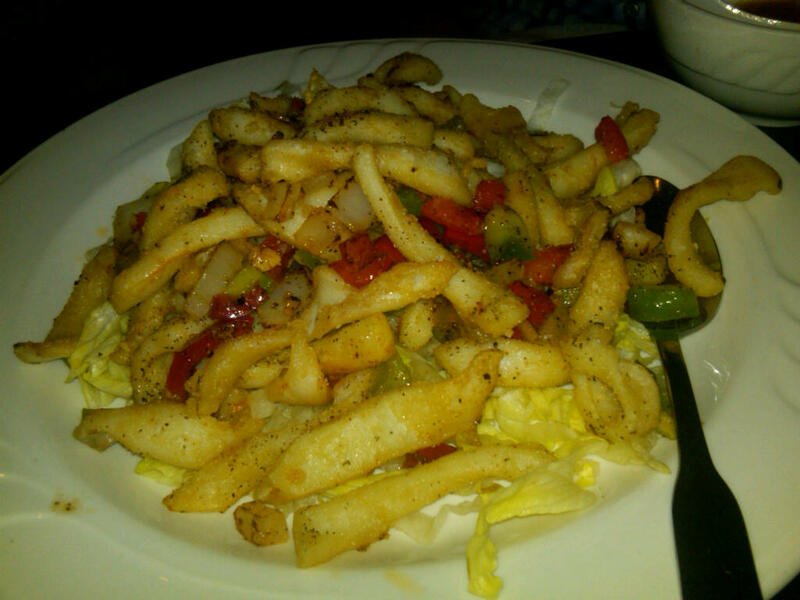 The squid came in strips and was not overly fried–just enough to provide a little crispy crunch. I could have eaten those guys all night long. Seriously. 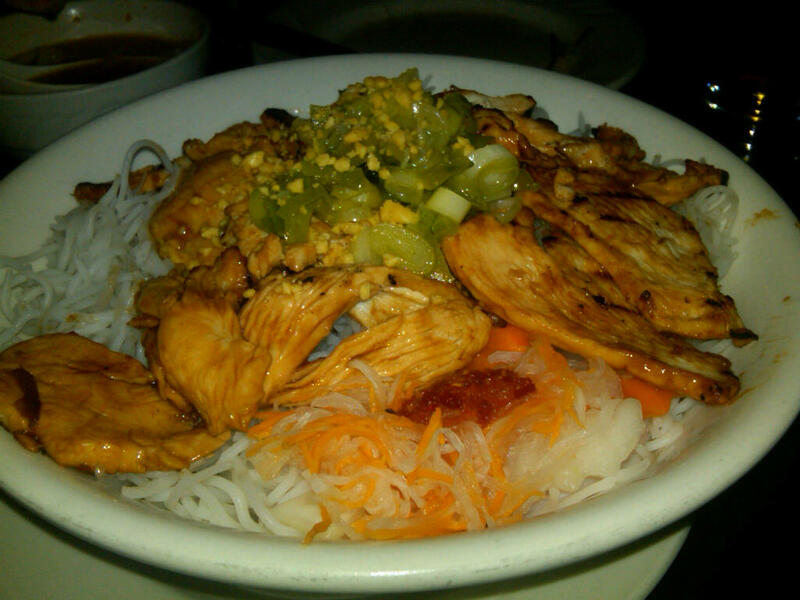 And the vermicelli. There’s not much to say about this besides it was as good as ever. As much as I enjoyed our meal, I was reminded how much I really, really love Vietnam’s vermicelli. They just do it right. From the dipping sauce to the pickled veggies and char-grilled meats, there’s nothing I don’t like about this dish. Oh, and peanuts make everything taste better. This was our table at the end of the night. We done good! After my tentative feelings going into the meal, the splitting encouraged me to try new dishes AND it was budget friendly. 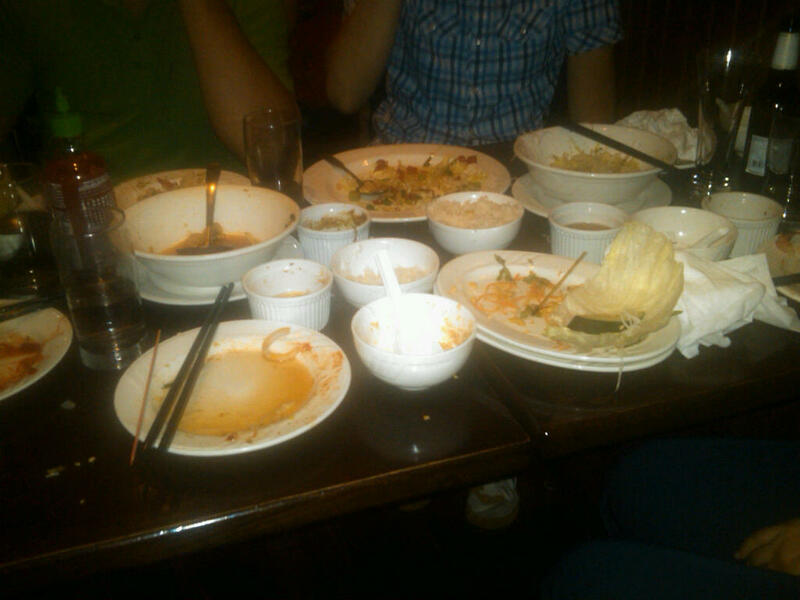 We left sufficiently stuffed while spending less than we normally do at the same restaurant. Can’t complain about that. Besides, we had the very best company and lots and lots of laughter. I love my friends. This account really should have been entitled–fr my point of view –“wish you were here.” I going to keep it handy as a guide for my next trip to either Vietnam. Loved the trio sipping from the bathtub! I just ran into your mom and took the 13 trolley back to West Philly with her, and she told me to check this out! Love Vietnam!!!! And now I’ll have to check out the salt and pepper squid–next time I go. i.e. soon.